Lather up your itchy pup with TropiClean Opti Neem Flea & Tick Shampoo! This formula doesn't just get the "dirty dog" smell out of your playing paw-tner, but it also helps relieve itchy skin caused by flea and tick bites. This all-natural shampoo is enriched with oatmeal to soothe dry, itchy skin and also contains neem oil and citrus to take the sting out of fleas and other pest bites. It’s all-natural and contains 70% organic quality ingredients for a solution you can feel good about using on your canine companion. 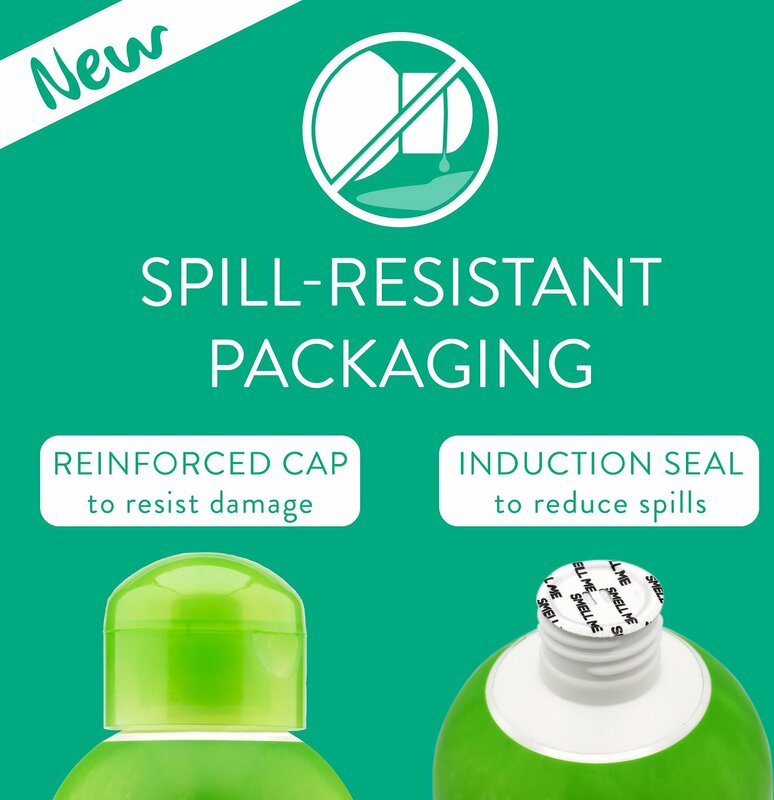 This product also works great as a degreasing shampoo! Helps relieve itchy skin caused by fleas and ticks, and also works to remove grease from fur. Made with 70% organic quality ingredients. Has neem oil which is a natural flea and tick deterrent. 100% soap-free, so your pet can continue to use spot-on flea treatments. HAZARDS TO HUMANS AND ANIMALS: Do not use on cats. Keep out of eyes. Keep out of reach of children. 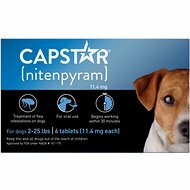 For dogs 12 weeks and older. Shake bottle. Wet pet's coat. Massage shampoo into your pet's coat for 3 to 5 minutes, then rinse well. Safe for daily use. Great lather and smell! It made my husky/lab mixes fur incredibly soft and the scent lasted a long time. It did help he itching but it wasn’t eliminated completely and that is the only reason I’m giving it 4 instead of 5 stars. I will definitely purchase again once we are out. I really like this brand so much I'm going to try the Oatmeal shampoo instead. My dog's skin is rather sensitive and I think this flea and tick formula is great, but maybe a bit too strong for my Airedale because within a couple of days she's itching like crazy. I still would recommend, the brand is really good. Like the headline says: Don't waste your money. It doesn't work...not even for a little while. Seems to work well. No fleas, smells good, and rinsed out easy. I have used this product at two kennels I worked at. It's great to kill fleas stops them dead. Also great on dog urine smell. I use this product in my own grooming shop. I love it. I wanted something that was more of a natural flea and tick shampoo and this product is great! 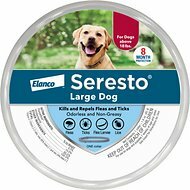 My dogs only go outside to potty and play briefly, we do not use flea and tick drops on them but I still wanted a product that gave them a little preventative. The neem oil in this product smells great and my dogs coats look great. I find this shampoo to rinse out very easily as well. Overall this is one of my favorite shampoos. The first bottle had leaked about halfway out but chewy was more than willing to send out a new one. The new one came fast and was perfect! Thanks Chewy! I just received this in the mail today. I tried it out on my pup. It has a very strong smell to it, not a pleasant one. However, my pup smells clean and it took away the wet dog smell. Not sure if it helps with irritation from fleas because my pup is still itching. I will continue to use it to see how it works out. As of now, not too sure if I will reorder, probably NOT! The price was good. It smelled good. It seemed to clean my dog well... but it didn't stop my dogs itching problem. It didn't kill the fleas. I'll keep looking for something that will kill the fleas without poisoning my dog. Great lather and smell! Don't know that it helps with the flea's as we had to resort to medication from our vet because they were so bad this year. Still would recommend for the cleaning and smell alone.